I loved the Wonder Woman movie, so I thought I'd find a cool sketch to color. This one was recommended on Twitter. Lines by Tradd Moore. Colors by me! Lines by Geoffrey Gwin. Colors by K. Michael Russell. This piece was a ton of fun! There two version for YouTube. One time-lapse and one real-time recording of the stream. I've linked them both below. Click the titles at the top to watch on YouTube and go full-screen. I also talk about this process at the beginning of this recorded stream below. How NOT to Color Comics: Part 5 - Too much local color! Here's the latest installment of the ever-popular series. :) Check it out! Colorist Tamra Bonvillain is a friend of mine, and she has a VERY different method of coloring than I do. I thought it was pretty interesting, so I thought I'd do a video to explain the basic concepts anyway. Tamra paints on masked "Solid Color" adjustment layers with a different layer for each color. She also does some things grouping layers and combining them with Levels adjustments layers that I do get into yet. I'm still figuring it out too. This method does have some advantages, and I learned a lot trying to figure it out! I won't be changing to this method or or anything, but I do think I'll be using parts of this method for certain things. It's always good to learn new tricks. Part 2: How NOT to Color Comics! New tutorial series starting: How NOT to Color Comics! I'm starting a new tutorial series on YouTube called How NOT to Color Comics! How to choose good skin tones! New Photoshop coloring tutorial video up! In this video, I'll discuss a question I get a lot-- How do I choose good skin tones in Photoshop? The answer is probably not what you expect! New video up: Where is your light source?! A common problem explained... :) Enjoy! Live Q&A celebrating 10K YouTube subscribers Thursday night! Thanks to all of you that subscribe there or have supported me in my courses. It's cliche, but I literally couldn't do it without you! Feel free to come ask me about whatever you like--coloring, comic book industry or business stuff, or just ask me about my cats or something. It should last about an hour or so, give or take, but I'll stay later to answer to as many questions as I can if necessary! After posting about Xia's YouTube channel, I thought it would be a good idea to provide some other useful resources for people interested in coloring or painting in general. 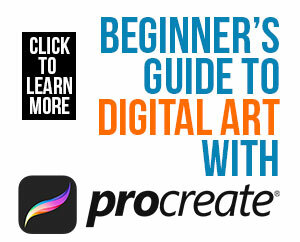 Of course, I'm partial to my coloring course, but there's so many great resources out there. So here's a few that I've enjoyed over the years (and in most cases, still enjoy!) --things that have helped me on my journey or things I believe would help you. Sycra's Foundations of Light and Shadow - I love this series! It's a fantastic set of lessons for those of you that might have trouble with rendering. If you need help figuring out where the light and shadow should go, this is for you! I still go back and watch some of these videos every few months. This won't be the only appearance of Sycra on this list. Also from Sycra... How To Choose Colors That Work This video was very eye openings for me, and I can't recommend it enough for those of you that might wonder why your colors "don't seem to fit" or clash or that sort of thing. Check it out! 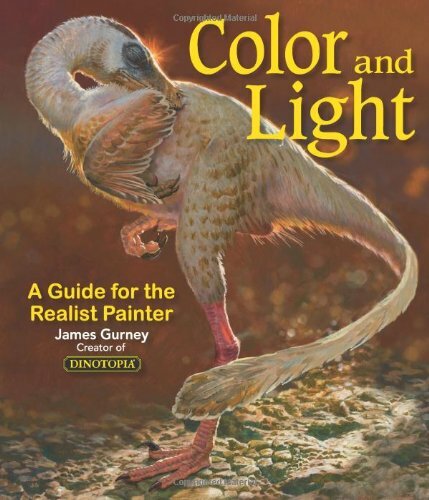 For those of you that still remember what books are, James Gurney's book Color and Light: A Guide for the Realist Painter is incredibly good. Even though the book is focused on painting, all of the color theory stuff applies regardless. I keep this book very close to my desk all the time! There are also some resources in that link that explain more. I used this tool when generating palette ideas for a new Image project coming later this year. It's a great way to come up with interesting palettes. This is a book you'll probably have to soak up for a while. There's a ton of content, and I still don't understand the majority of it well enough, but I'm working at it! Comics Experience's Introduction to Comic Book Coloring. 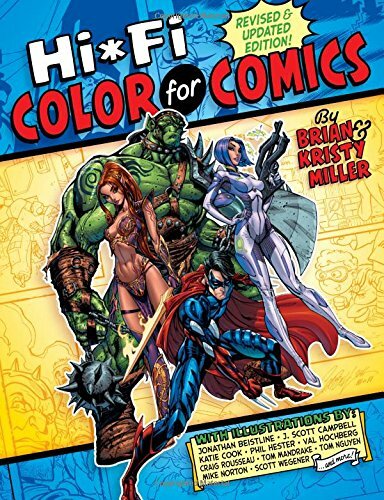 Coloring veteran Chris Sotomayor (AVENGERS, BATMAN, X-MEN, about a billion other books) teaches this course. Soto's been coloring since 1996. This is a paid option, and it's not cheap, but the difference here is that each class is live with the instructor online. I took this course is 2014--even after I was getting pro work, and I found it to be extremely helpful. Soto is pretty active on Twitter too, and he's good about answering questions about his course there. I recently discovered ArtStation. It's primarily digital painters and concept artists, but lots of great time-lapse process videos. This link sorts the trending posts that are 2D with video. Tons of good artists on there. One more for you! Hi-Fi Color for Comics. The original version was one of the first books I picked up on coloring, and I found out that figuring things out on my own had me doing some weird stuff before I read this. They recently updated it, so be sure to check it out. It's a great book for beginners. So that's it! I hope you enjoyed this list. Let me know what you guys think! I'm sure I'll add to this to keep it updated in the future. Send me your ideas as well! I was asked about this by a few people, so I thought I throw together a quick video to show you how to clean up your line art with Levels in Photoshop. This is not something I've really had to do very much professionally since usually the artist does it, but it's good to know! The first video was so popular; I'm gonna make a series! Here's the 2nd. In this video, I use a few sample pages to show some tips and tricks for coloring comics with Photoshop. If you are interested in getting a critique on YouTube, email me here: info@comiccolor.com I usually just do this for my coloring course students, but I'll pick a handful of good examples for future coloring tutorial videos on the YouTube channel. I'm actually a bit ahead on videos for the first time in ages... subscribe to the channel to get them all. There are three more scheduled over the next few weeks. Stay tuned! Hey people, here's the full-length version of the Pensacon walkthrough with audio throughout. I hope you enjoy! This was a big departure from my usual style. I actually painted it first (and only used the flats to clean it up). I learned a lot along the way. Enjoy! New video and new (vague) project news! Hey people! I uploaded a new video tonight. This is a time-lapse recording of a page from TRANSFERENCE #4 for Black Mask Studios. I'm filling in for my friend and fellow colorist, Tamra Bonvillain! The artist in this issue is Toni Fejzula (VEIL). The writer is my former HACK/SLASH collaborator, Michael Moreci (HOAX HUNTERS, CURSE, ROCHE LIMIT). If you are wondering what I'm doing with Photoshop in the video around 1:15, I'm using a gradient map. I made a video about them once here. I use them to shift the colors around in interesting ways on an adjustment layer, then set the layer mode to COLOR, then adjust the opacity. I then use that as a base to start adjusting my base colors.